Let me start by saying I love this band. I also really love the little touches they leave for Ten Club members. It's often thankless work. So to Santos and the whole team - thanks for everything you do. But let me also say, as many others have, that UPS Mail Innovations totally gouged me and I suspect other 10C members in Canada. I acknowledge I pay a premium to buy direct from PJ.com and there's often good incentive. In this case I paid $33 for the LPT Vinyl and an almost equal amount to ship the package to Canada. 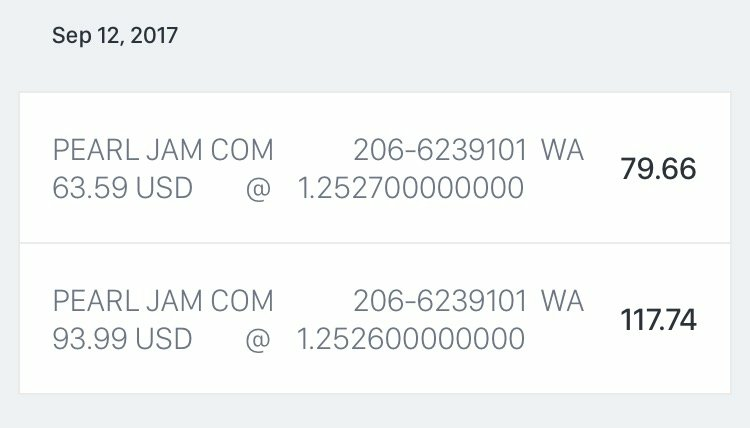 The total ends up being about $60 USD, which then converts to $80 CDN. That's a lot of money but the Amazon site would charge me $60 CDN. So fine. I hate saying this, but a 30% surcharge is something I'm fortunate enough to be able to afford. I'll deal with it. But then yesterday, I had to pay ANOTHER $30.50 brokerage fee from UPS and spend time fencing with them to leave the package on my doorstep. In total, I ended up paying $110 for a double vinyl set from my favourite band. More than half of which went to shipping. This is the first I've heard of international shipping problems. Did you choose UPS Standard? Don't do that. As soon as I saw 10c put UPS Standard as a 2nd shipping option I knew it was going to be trouble :( You're better off choosing the other one even if it is more expensive :( When I ordered it I chose mail innovations even though it's slower and was $3 more. I wish 10c would ditch UPS all together. USPS is better. ^ This is really helpful. Thank you. Will remember for next time. It's just a little frustrating because I don't see a business reason why it would make sense for 10C to let a third party layer on ridiculous surcharges that triple the price of their units. The only rationale I would think is simple ease of logistics. UPS must be a one-stop shipping solution that suits 10C's worldwide shipping needs without affecting their unit margins. They presumably know their business and don't believe UPS affects their volume of international sales. Or perhaps there is no other international shipper that comes in lower, but I seriously doubt it. Anyway. I'm sure I'll love the album. Apologies for repeating a tired topic. If I were you, I'd just vote with your wallet. 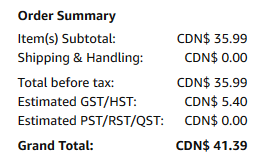 When I placed my order with Amazon Canada, it cost me $48.80 (including free shipping and HST) CDN. Because of Amazon's Pre-Order Guarantee, the price went down by roughly $7.00, and all in cost me $40.67 CDN, and I have tracking information from FedEx (showing me that it's been shipped, and will be at me by Wednesday). No problem. I've been buying stuff off the internet since someone decided to sell stuff off the internet. I learned the UPS issue the hard way (Which was the same was as you) a long time ago. I actually ran into it again last week. Often records are cheaper on Amazon.uk than in Canada, so I've been ordered records from the UK site for a number of years now. I got two records in the mail last week and instead of royal mail (the regular uk postal service) they came ups and I got dinged :( Some genius in another forum taught me how to setup flex delivery which forces my packages to go to directly to a post office, which means amazon uk can't use ups (Forces them to send it royal mail.. lol). I think the reason more and more international companies use ups is because ups undercuts on price. I don't think retailers (like the 10c) realize how seedy UPS is with charging less for shipping but then gouging for brokerage. As Bubbles would say, its greasy! Whoa! 1 cent cheaper then mine! Lol i live on the same island! I just go to the cbsa office in the Atrium building. That's awesome! How does that work? At what point to you intercept the package from UPS so you can clear it yourself? my theory is 10c has a set contract with UPS and they have to wait for it to expire to switch services. They have to know the shipping charges for international stuff is untenable. Same here. 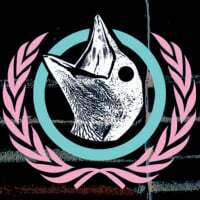 I've sadly stopped buying anything on PJ.com. With shipping the prices are just insane. It's not worth it. All you actually need is a copy of your receipt, ive used screenshots printed out, and tracking number. You can actually do it as soon as you have those. The carriers prefer that you call them before the clear it but its a hassle as they want you to fax them a copy and it can delay delivery. Its not actually necessary you can wait till they attempt delivery and ask for copy of weigh bill and tell them you're going to clear it but they can get a bit pissy. What ive done is taken the receipt and tracking number down and gotten the form and given it to the carrier when they deliver. But of course they tried to send me a bill weeks later so i just called and told them i already cleared it. I love buying from Ten Club. But the shipping to Europe is, also, way to expensive. We don't even have a choice regarding shipping. Not to mention the tax we have to pay when stuff arrives overseas. If Ten Club managed to do something about those shipping costs, they would sell a whole lot more merch.